This is our 6th visit to Playa de Muro (Alcudia). We know the area very well and will definately return to the resort. 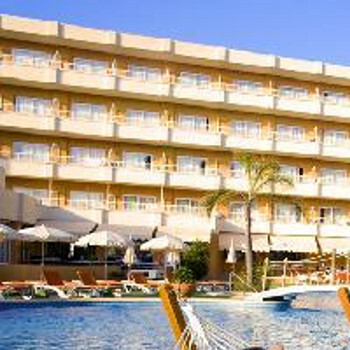 We only booked this hotel as it was a late deal (due to work commitments) and we couldn't get in at the 4 Star Maritimo where we stayed last year. Thankfully, we were only there for a week, I would never have survived any longer! The food was just vile, breakfast consisted of streaky fatty bacon, german sausage, cold meats, awful looking eggs and vegetables - carrots and green beans! The evening meals were no better. Chewy cold chips, other potato choices which were undercooked, fatty meats/undercooked pork, hard pizza and more veggies. Salad looked the safest option! Tables were not cleaned or cleared ready for 2nd sitting - we were 2nd sitting (8pm) and often had filthy tableclothes from the 1st sittings.Other areas of the hotel were clean. Pool area was small and in need of modernisation. However, the gym, jacuzzi and sauna areas were lovely - the best part of the hotel. Hotel staff could not understand english, they spoke german and french. If you are staying in this hotel be prepared to be the only British guests, the hotel caters for German guests and German guests only!! Entertainment - none! This hotel definately does NOT desrve its 4 stars - we have stayed in better 3 star hotels in the same resort.